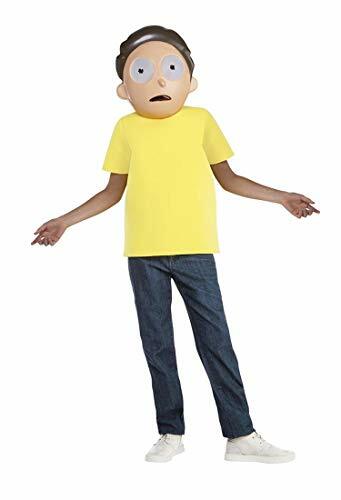 This is a Child Rick and Morty Morty Costume. 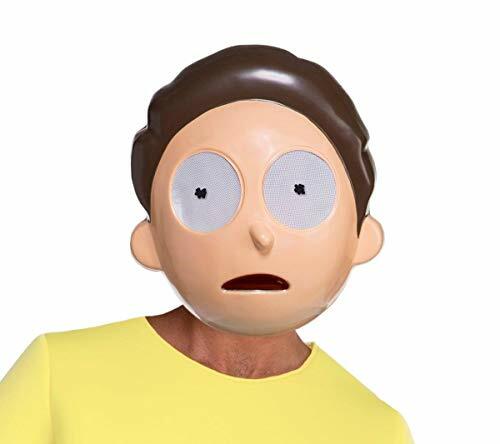 Loving Rick & Morty means asking the difficult questions, but this Rick & Morty Morty Mask for Adults is an easy choice. This Glip-Glopping mask is a great way to complete your Halloween or cosplay ensemble. 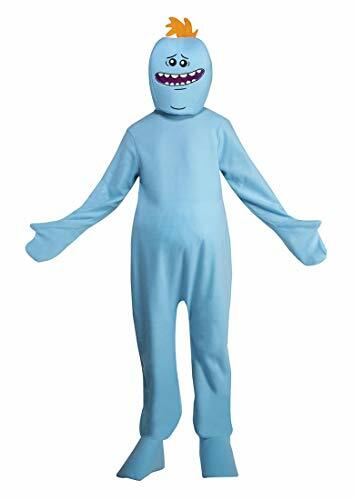 Shop officially licensed Rick & Morty costumes and accessories online today. TVs craziest scientists is now one of the most talked about Halloween costumes! 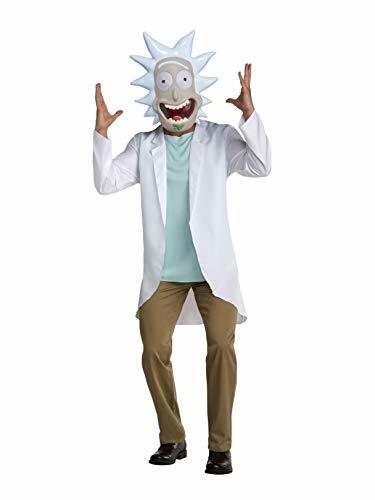 This Rick and Morty Rick Adult Costume includes character mask and shirt that will have you ready for all the dimension-hopping hijinx! Terrific for Halloween or cosplay year round! Add a portal gun to complete the look! Order yours today! 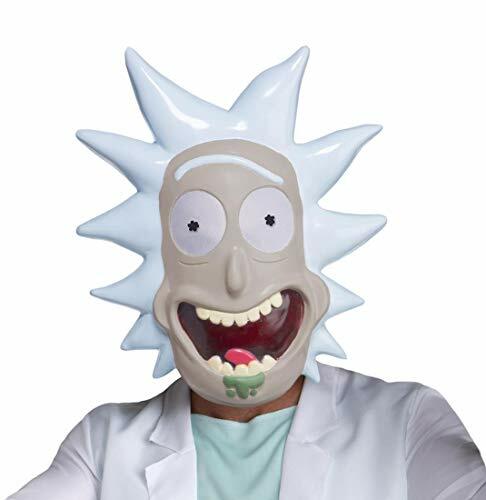 Focus on Science with this Rick & Morty Rick Mask for Adults. Don�t even trip, but this mask is the perfect way to finish off your next Halloween or cosplay ensemble. 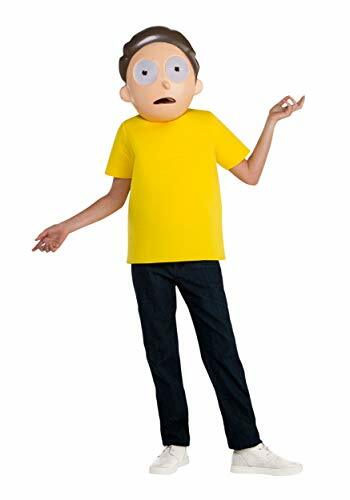 Order officially licensed Rick & Morty costumes and accessories online now. Wubba, lubba, dub, dub! This Rick and Morty: Morty Teen Costume will have you experiencing inter-demensional craziness in style! Including character mask and shirt, you have an awesome and instantly recognizable costume for Halloween or cosplaying year-round! Comfortable and made of high-quality materials. Order yours today! *buuurrrrrp* look Morty! I'm a costume! The show Rick and Morty has recently became a pop culture staple for those who watch Adult Swim. With countless adventures through interdimensional portals, Rick Sanchez takes his moronic grandson, Morty, to see new worlds and interact with the local people, sometimes even taking the place of deceased Rick and Mortys from another dimension. One of the characters that they run into is an Evil Morty who controls a robotic Rick using a computer embedded in an eyepatch. 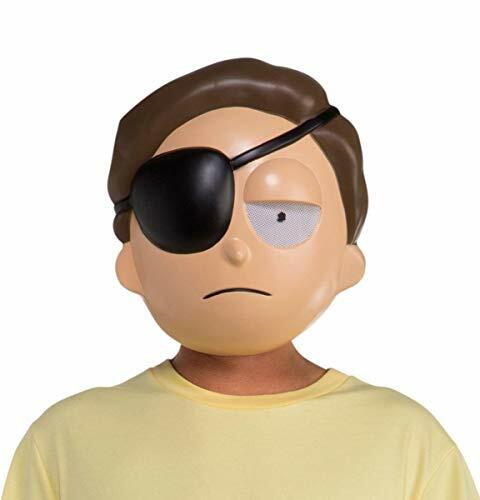 This costume includes a shirt and Evil Morty mask featuring an eyepatch. This is great on its own, but could be even better with the other costumes and accessories available in our store!